Whether you've been in business for a long time or you're relatively new to the auto shop industry, one thing should be clear: in order to set yourself up for success, you should always be looking for ways to optimize your business. Perhaps the most important systems at work for your shop are your financial processes and policies. To remain in business, you need to be organized and in control of your cash flow. With the future of your shop at stake, you can't afford to let money mistakes, big or small, slip by without analysis and problem-solving. Good money habits take consistent monitoring to upkeep, but how do you pinpoint your financial problems? In this post, we'll discuss a few surprising ways your auto shop might be losing money and why its important to optimize your shop for profitability. 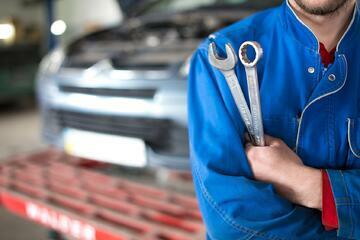 Where Is Your Auto Shop Losing Money? 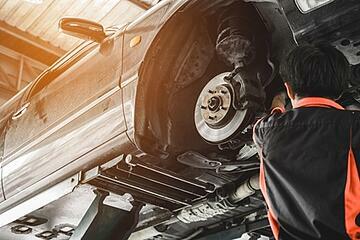 When you're assessing your auto shop's financial strategy and policies, you want to be as thorough as possible. While each shop will likely discover different sources of financial "leaks," here are a few key ways many shops lose money without really realizing it until they take a closer look. Incorrect pricing: One area to address when you want to ensure your shop isn't unnecessarily losing money is your pricing and the processes that carry it out. First, if you haven't considered your prices in a long time, it's important to assess whether they're still financially viable. Beyond simply checking that your rates are set according to your supply and labor costs, you'll want to check that your computer systems know how to handle any special pricing situations. For example, if you're able to purchase a part at a discounted price, but your system automatically charges customers double the part price, you're effectively losing the extra deal you got on the part. Finally, you should ensure that you have a way to account for the right prices for add-on or extra services so that the charges to your customer don't fall through any cracks in your system. Employee downtime: When you're losing production hours, you're losing the value you get for your money. While some downtime is less avoidable, you should check out your scheduling and service processes to ensure your techs are spending a minimum amount of time waiting around for parts, checking for approval, or taking care of personal matters. Another easy way to maximize production time is to ensure that all of your techs are properly trained on the critical service skills they need to cover any job that comes into your garage. 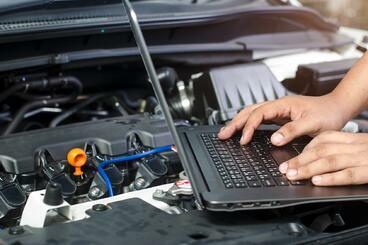 Investing in employee training can save you both time and money, especially considering the electronic issues on newer vehicles that you're sure to see more of in the future. Lost sales: Again, while it may be impossible to eliminate lost money due to lost sales (sometimes, it's impossible to control your potential customer's decisions), there are ways to minimize this loss. The key here might be overhauling your customer experience by improving your waiting area, personal interaction skills on your staff, or the overall speed and quality of your work. But a hidden problem might have to do with your conversions: turning potential customers into customers and turning one-time customers into repeat customers. A potential fix could be updating your management software to a program that can better help you follow up with job leads and past customers. Inconsistent process: Finally, an inconsistent service/repair process might be getting in the way of your maximum productivity, and therefore, your maximum profitability. A bad repair process for any type of repair can mean an increased number of comebacks because the job simply wasn't done right the first time. Comebacks are perhaps the biggest threat to your financial operations because redoing a job for free means there's less space in your shop to take on paid work, plus the cost of more parts, labor, and time. To avoid costly comebacks, always use quality replacement parts and create a strict and trusted process for all techs to follow when doing a repair so they can avoid costly mistakes. Keeping your auto shop running smoothly means being in control of all of the processes simultaneously going on inside. In general, shops that put in the effort to succeed financially are also the ones that customers will return to or recommend to others, creating a cycle of business that keeps them busy and productive. If you manage your processes well, you can provide better service and a satisfying customer experience to your community. Therefore, it's certainly worth an investment of time (and often, up-front resources) to regularly check on the systems you have in place and overhaul them to create better processes. Perhaps the top money-losing mistake that today's auto shops can make is continuing to use an outdated or inefficient process just because it's "how it's always been done." Instead, cutting off those sources of money "leaks" allows you to better compete with other shops to win business. Any money you're losing can be better spent on higher quality tools and parts, shop upgrades, training, advertising, and more — all things that continue to improve your shop's work and reputation. While these mistakes may seem small and insignificant, they can make a huge difference to your business in the long run.